I love it when we make one craft, that inspires another one. A couple of weeks ago, we made fun dancing skeletons out of paper rolls. My daughter could not get enough of them. We were playing with them this week and making them dance and flip, when all of a sudden, our skeletons started doing flips on their own. We had wound the string on them so tightly that when we pulled the string to straighten it out, the skeletons spun around clumsily on their own. It reminded me of the paper spinners from my childhood. We were so excited, we couldn’t wait to play around with this idea more. I am excited to share these with you today because they were such a huge hit with my little girl. We had so much fun making and playing with these adorable dancing skeletons. If you are looking for a cute and funny Halloween craft that your kids will enjoy, look no further. These cardboard roll skeletons are sure to bring a smile to your child’s face. Mother’s day is a month away. If you are looking for a cute gift idea for mom or grandma, these simple cardboard tube vases might be just what you are looking for. My daughter loves to run around the yard and pick flowers for me. It is the sweetest thing. We will usually put the flowers in a Dixie cup and save them, but we thought that it would be nice to make and design our own bud vases. 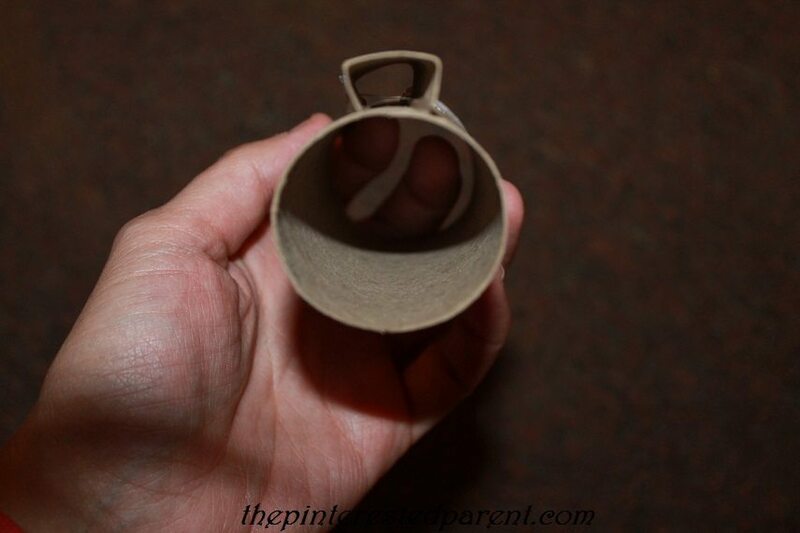 These cardboard tube vases are perfect for the spring and would make an adorable Mother’s Day gift. You can choose to make a tapered vase, as we did or keep it even simpler and keep the tube as is and glue it to a base. 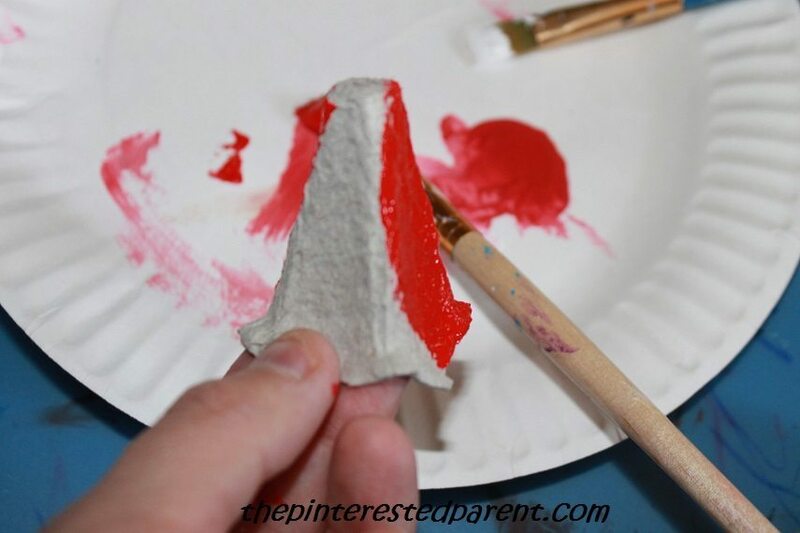 If you are a Dr. Seuss fan like we are, you may be looking for a fun and easy craft to celebrate his upcoming birthday. When you think of Dr. Seuss, what is the first thing that you usually think of. I almost always immediately think of the Cat in the Hat. My daughter loves that mischievous cat and all thing Dr. Seuss, so I thought that this simple yarn wrapped Cat in the Hat inspired hat would be perfect. Recyclables make perfect craft materials. For one, they are free and you just cannot beat that. The other thing is that they are always readily available. I have a huge bin filled with egg cartons and assorted cardboard tubes that I save. I had collected so many tubes, that I had to make something with them. With Halloween nearing, I had just the haunting craft in mind. We began a little fall decorating this weekend. We bought a bale of hay to use both for a fun sensory bin for my daughter & to pretty up our front yard for the season. We placed our hay in our front yard in anticipation of going to a local farm over the weekend for scarecrow making & pumpkin and gourd picking. I told my daughter that we were going to place scarecrows on our bale of hay. She told me that she wanted to make a girl scarecrow and a mama scarecrow. All of the scarecrow talk had me inspired to start making some scarecrows right now. 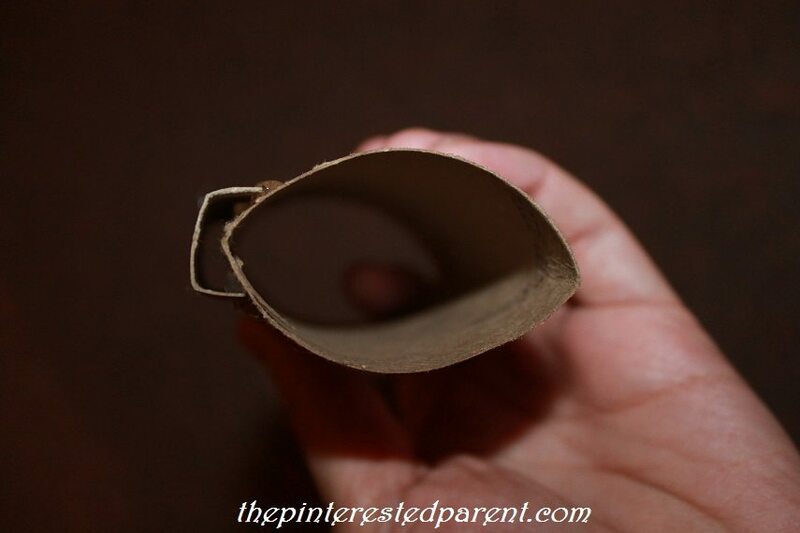 Poke a slit on either end of your cardboard roll about 1/3 of the way down. Make it large enough so that the craft stick can slide through. Take the stick back out & paint the stick in whatever color you will want your scarecrow’s shirt to be. Paint about a 1/4 of the tube in a flesh tone. 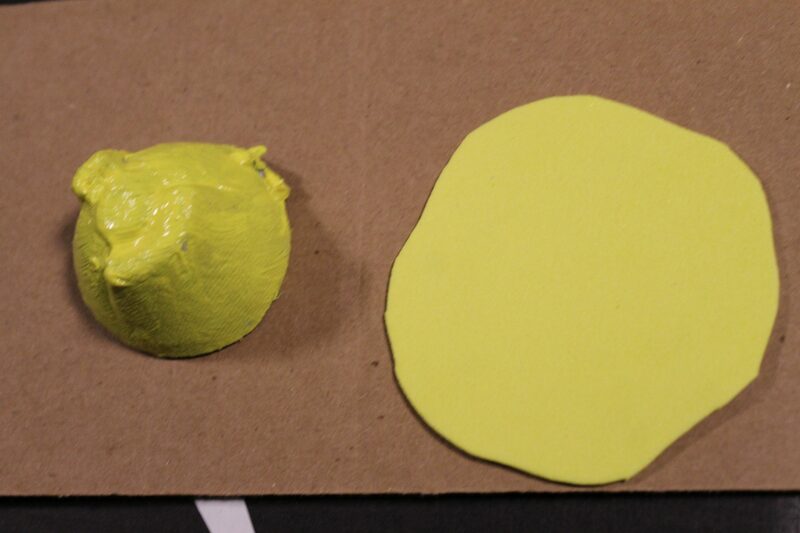 Then paint half of the remainder in the shirt color & then the other half in the pant color. Let the paint dry. 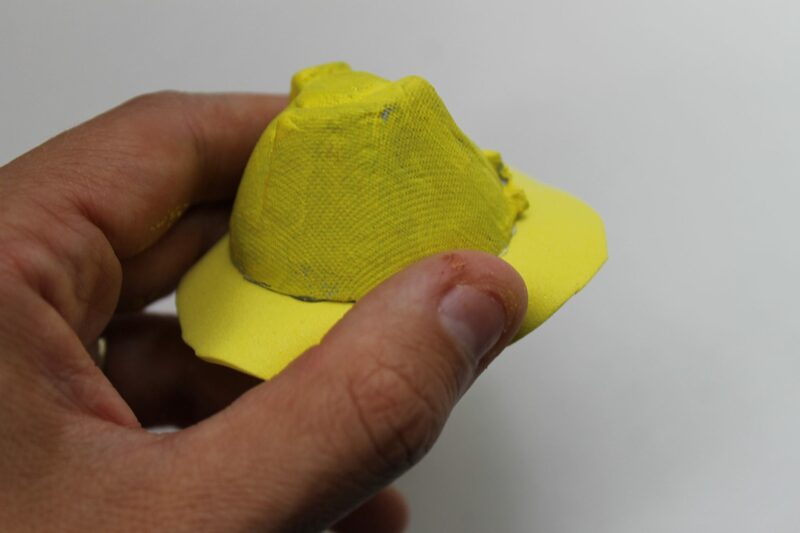 Paint an egg carton section in whatever color that you want the hat to be & then cut out a wavy circle. Let the paint dry. 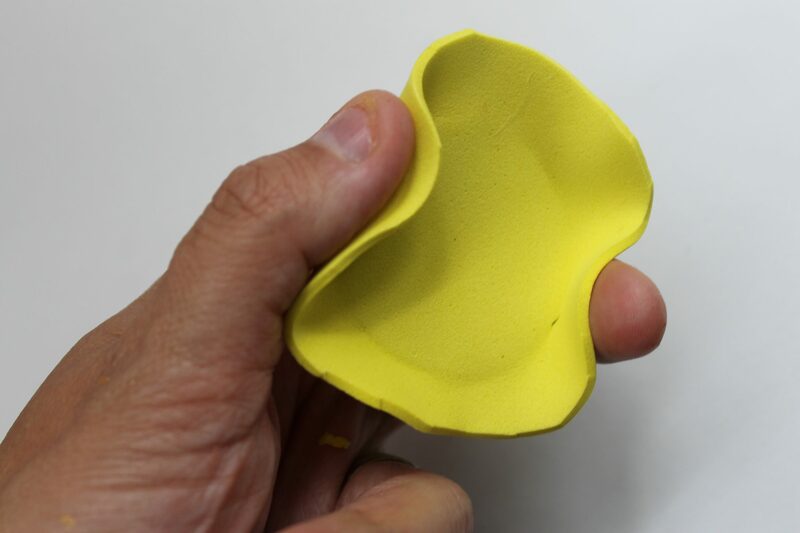 Glue the egg carton piece to the center of the foam shape. Crumple up the foam a little so that it has a more natural hat feel. Glue strands of yarn to the ends of the craft stick. Glue a few strands of yarn over the top of the flesh toned area on the tube & then glue the hat on. Glue more strands under the head & then glue on buttons. Draw a face on the scarecrow with magic markers. 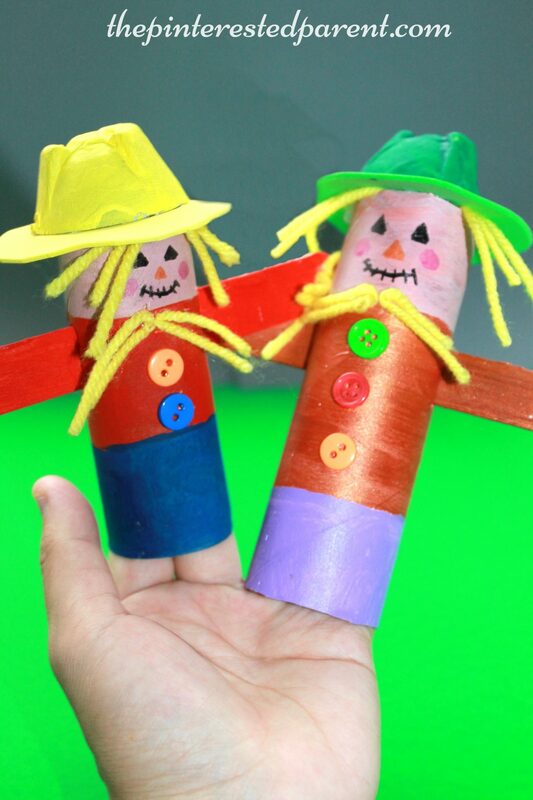 The tubes fit perfectly over a couple of fingers to make fun puppets. We made a mama scarecrow & a little girl one just as my daughter wanted. She had a ton of fun playing with these. These made a wonderful addition to her already amazing imagination for pretend play. Last Christmas, we made Christmas ornament stamps out of potatoes. These were a big hit with my daughter. 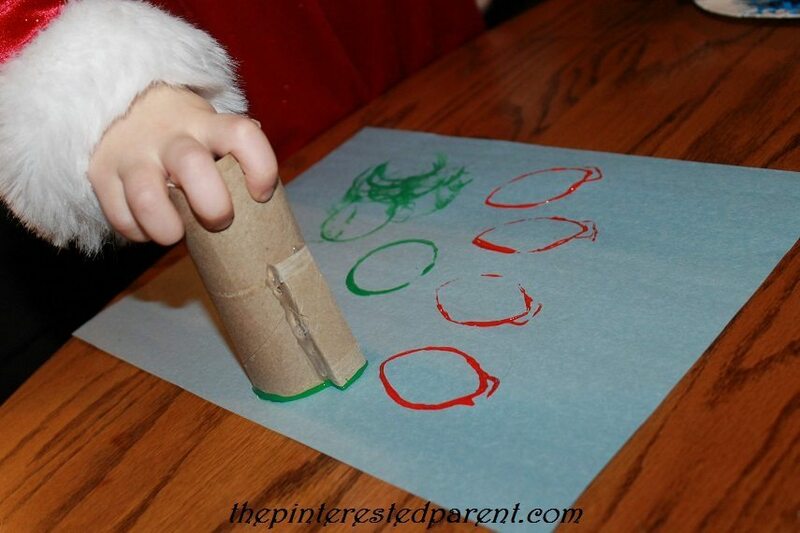 She loves stamping projects & we are a big fan of potato stamps. 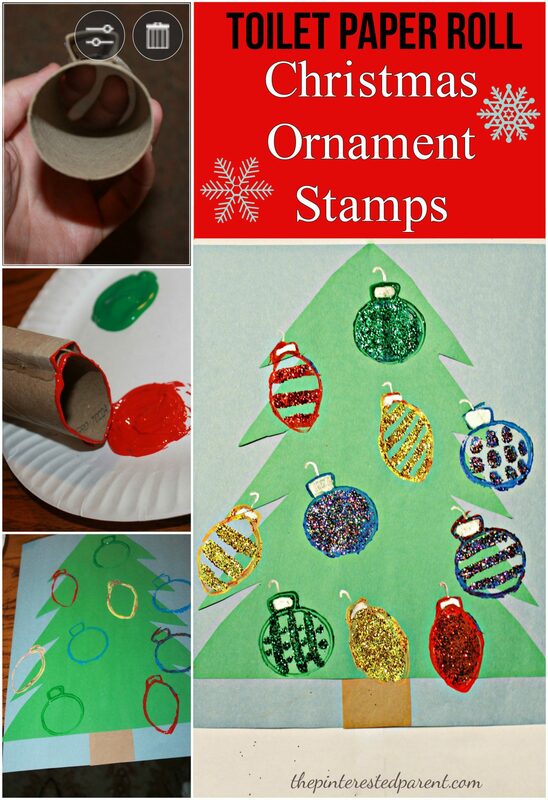 I have seen many people using toilet paper rolls as stamps by bending them into various shapes such as leaves, hearts & pumpkins and I thought what a wonderful idea. We used our tubes to form two different shaped ornaments. I cut one tube and bent it to form the top of the ornament. I used a glue gun to glue the tops in place like shown. Make sure the top piece is flush with the tube. The ornaments are then ready to stamp with. I cut out a Christmas tree shape for Mai to stamp on, but she was not interested in the tree. She just wanted to stamp on a plain piece of paper. Mai did not want to use the tree, but mommy did. 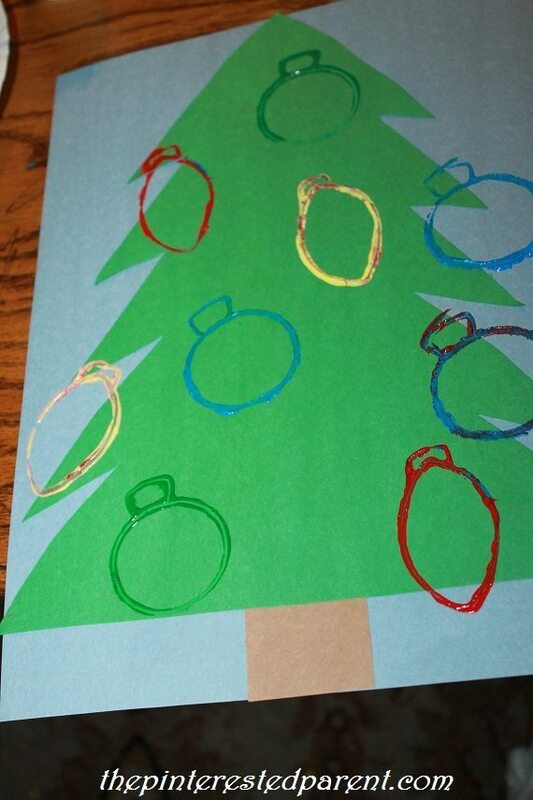 I stamped the ornaments on the tree & let the paint dry. 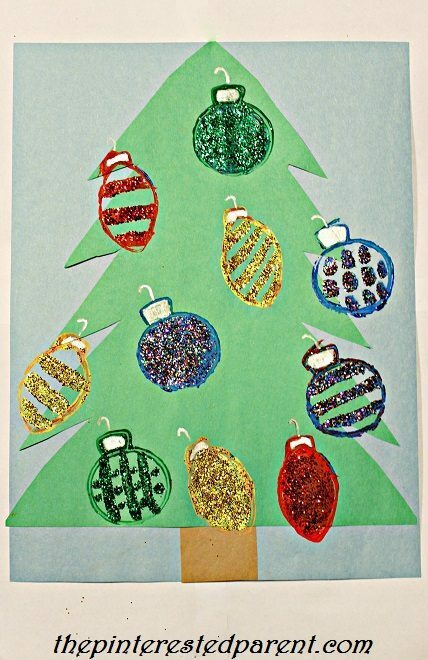 I used paint & glitter to decorate the ornaments & my daughter chose to use scissors & cut hers out for a project of her own. This weekend my husband and I got out for a very rare date night. The movie Elf is a favorite of both of ours. They had a musical version of Elf in the city & we just had to go see it, so we called in Nana for the night and went out for a much needed date. 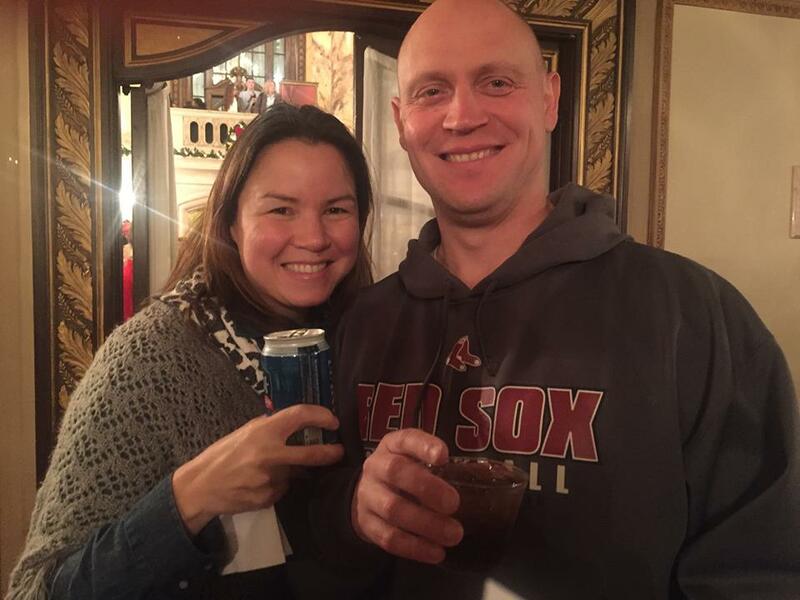 The musical was wonderful. The cast did a spectacular job. The songs were cute, catchy and well performed, but I was most impressed with the scenes. Maybe it is the Christmas lover in me, but the North Pole scenes & the Christmas in the city really got me. 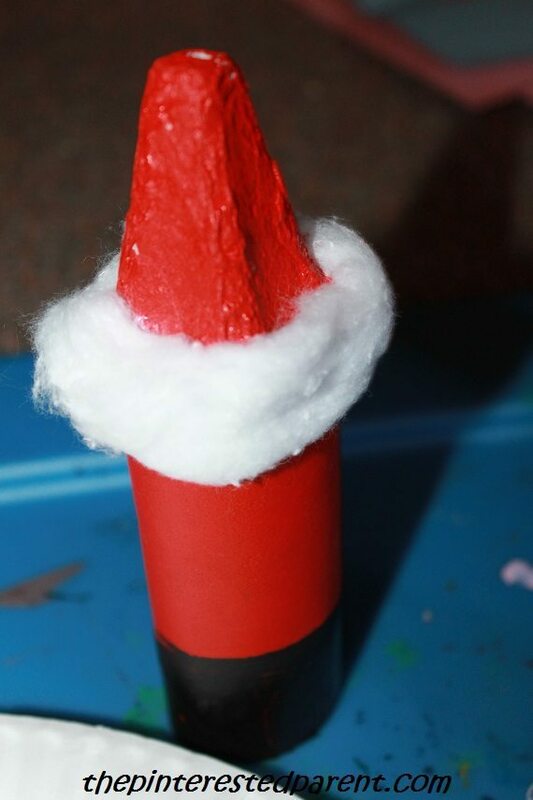 They also inspired some North Pole craft ideas that I couldn’t wait to do. I had three North Pole characters in mind, Santa (of course), a snowman & a penguin. I painted all of the pieces first to allow time for all of them to dry, but here is a break down of each craft. Paint a toilet paper tube in all black. I realized later that I needed to paint the inside as well. Let the paint dry. Squeeze glue on about 2/3 of the tube & spread cotton over it in an oval shape. Cut flippers out of black construction paper or use foam, as it is sturdier. Cut a beak and feet out of orange. Glue them into place & add googly eyes. 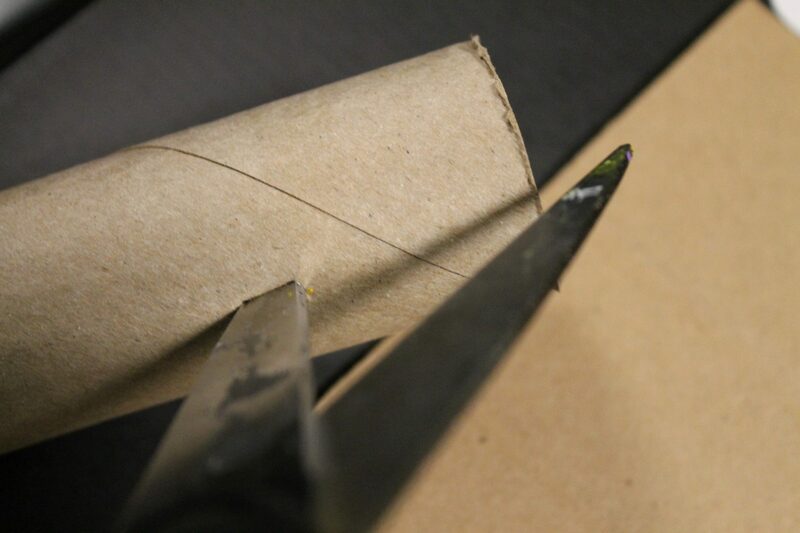 Cut a small slit into the side of a paper bowl. 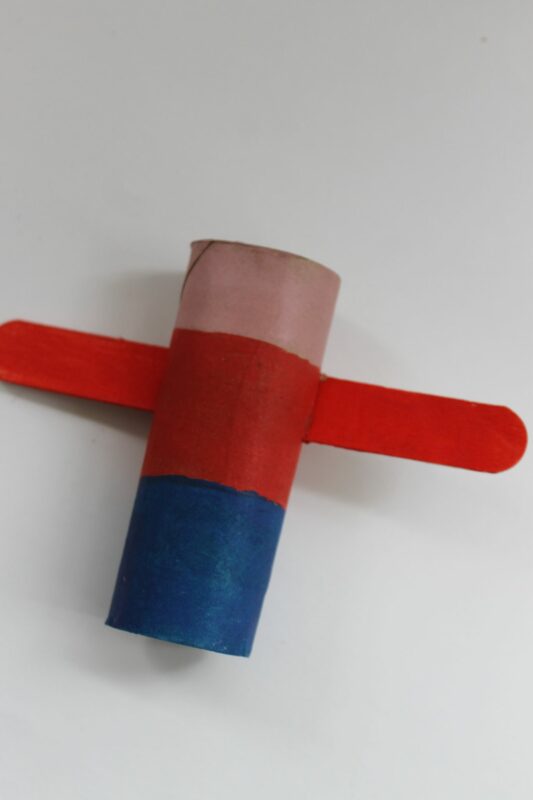 Slide a Popsicle stick into it & glue into place. 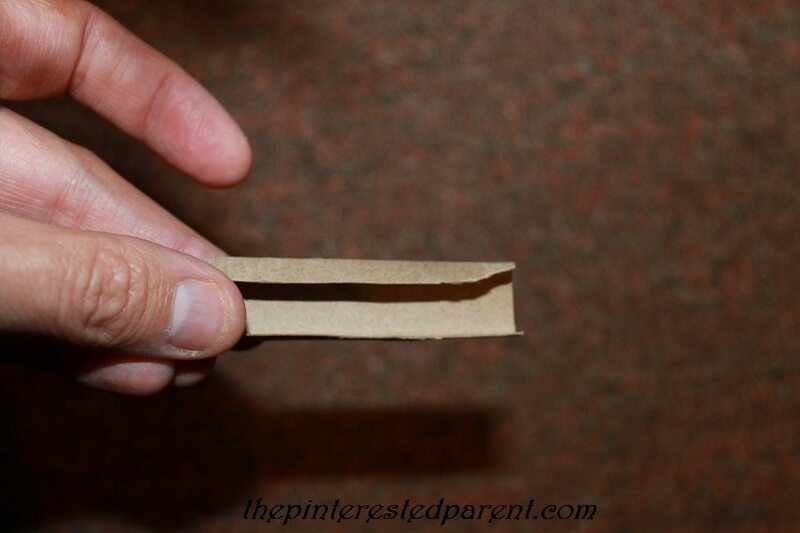 Cut a piece of cardboard into a small rectangle. 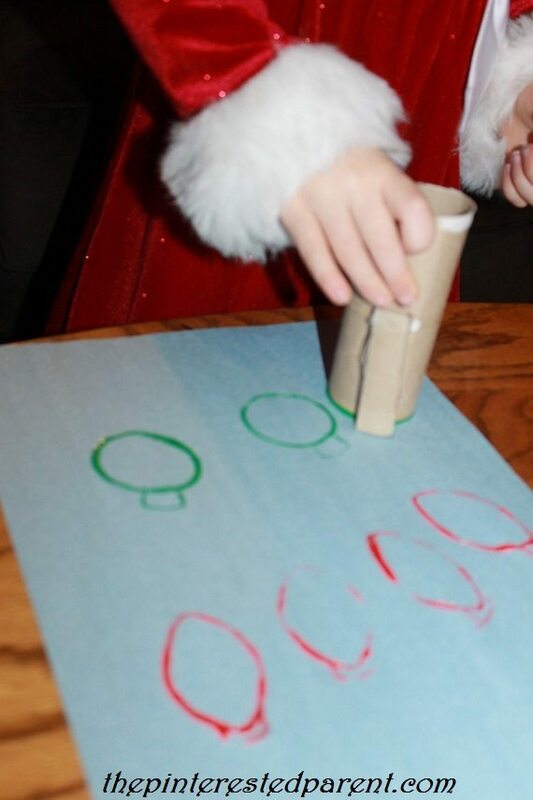 Write North Pole on the sign & glue it to the top of the Popsicle stick. Glue the penguin to the bowl. Glue stretched out cotton balls all over the bowl & around the penguin and the sign. Add a small line of cotton to the top of the sign. Paint 3/4 of a toilet paper tube red & the rest in black. 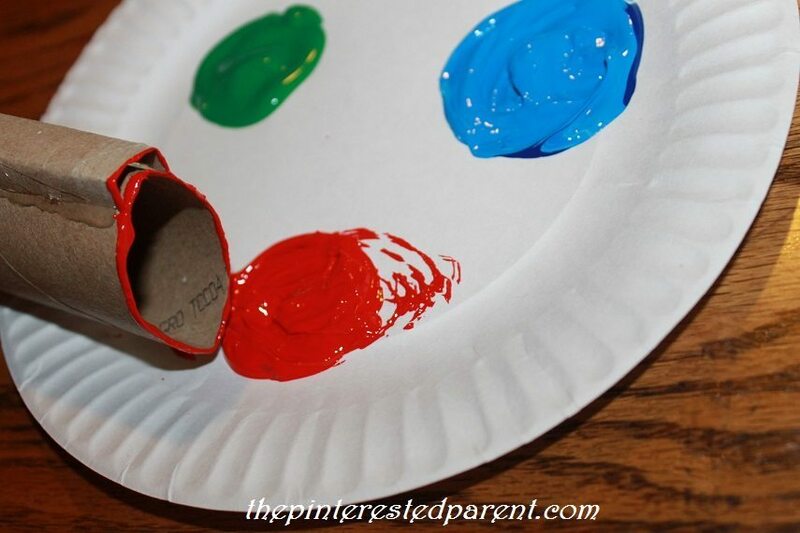 Paint the pointy separator of the egg carton red & let all dry. 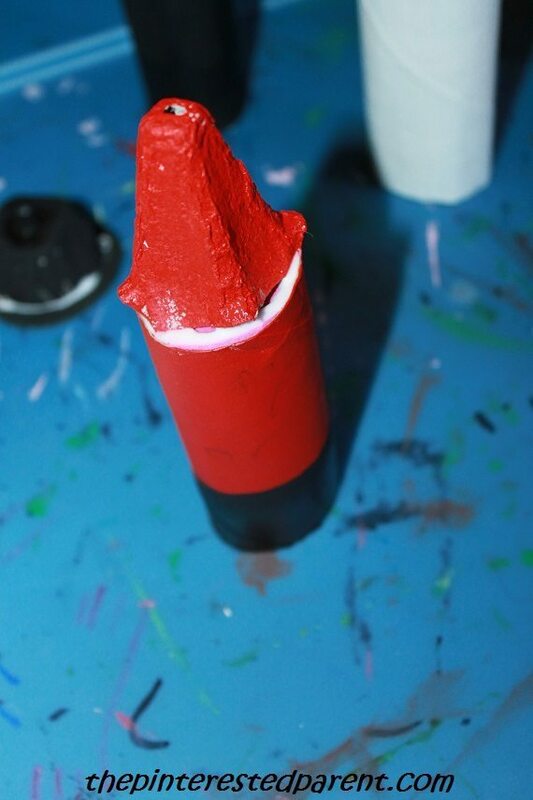 Glue the egg carton portion to the top of the red end of the tube. 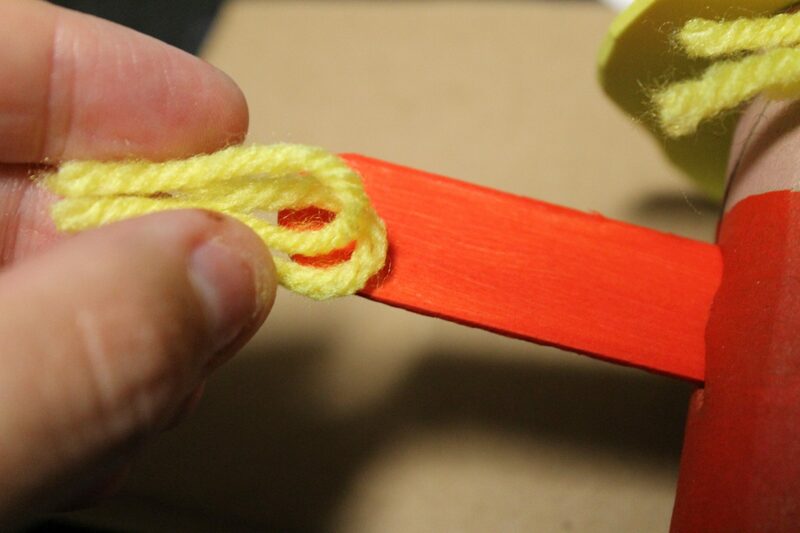 Glue a ring of cotton around the bottom of the egg carton & at the point right above where the red & black meet. Cut a small oval shape out of flesh-toned paper. Add googly eyes to the oval shape & paint in cheeks a small nose & a mouth. Glue it right under the hat. Glue stretched out cotton around the outside of his face and between his nose & mouth to form a mustache and beard. Add a small cotton ball to the top of his hat. 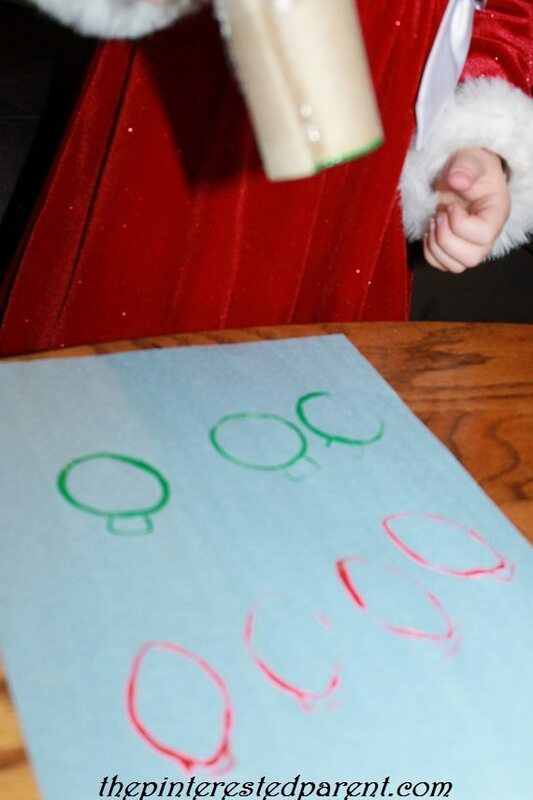 Draw in buttons on Santa’s coat. Follow the steps in step 4 from the penguin craft above to finish off the craft. 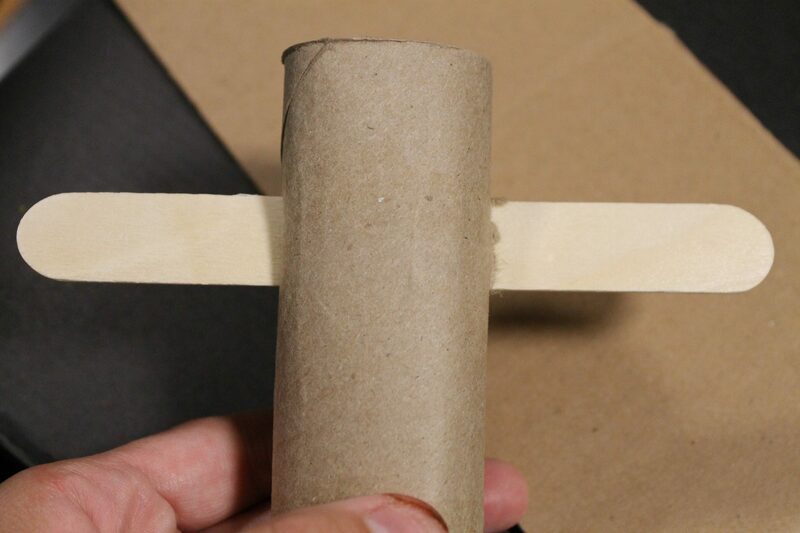 Paint a toilet paper tube in white. Paint a piece of egg carton in black. Let them dry. Draw the snowman’s face in with a Sharpie & paint in the carrot nose with orange paint. Cut a black circle a bit larger than the egg carton piece out of black construction paper or foam & glue the egg carton to the the center of it. Let dry. Glue the hat to the top of the snowman. Cut a piece of ribbon to use as a scarf. Glue it into place. Glue pipe cleaners in place for the arms. Follow step #4 from the penguin craft to finish off your craft. These were so much fun & cute to make, I wanted to make more.